Overall it was an outstanding World Cup for ESPN and a tremendous improvement over four years ago. ESPN’s massive investment in the tournament gave the World Cup and Olympics like feel and signifies the massive progress the game is making in this country. The coverage was thorough and professional and the on-air personalities seemed to gel well. However, the coverage in many ways seemed to emulate the approach to World Cup coverage pursued by BBC or ITV and was perhaps not as innovative as ESPN could have made it. Here is a run down of what worked and what didn’t. 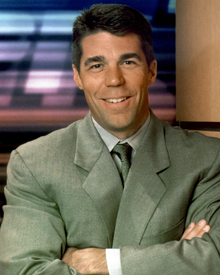 Chris Fowler. He was perhaps ESPN’s star of the tournament and showed he is a true professional. Fowler who had never covered soccer before to my knowledge almost never put a foot wrong. But it wasn’t just that he didn’t make a mistake, he provided insight and framed the topics of discussion in an interesting and easy to understand way. Perhaps for the fist time on national television on Sunday, there was a discussion of the different tactical schools of soccer from the Dutch to the Barcelona school. For soccer followers there wasn’t much new there, but on the other hand it was a generally informative discussion that gave the American viewer the sense that there were different ways of playing the game. Fowler was the one who presented the discussion and provided the context – he also had a great sign off at the close of proceedings that was quite an advert for South Africa. No anti-soccer references. This may seem a bizarre thing to include, but ESPN this go around (save for Mark Wahlberg in the Will Ferrell skit before the England game) quashed the anti-soccer jabs that had become a standard feature of sportscenter anchors. And for that I am thankful. Ian Darke. To me he was the announcer of the tournament and while he had a British accent he called the games with an energy and enthusiasm that was what Americans look for in commentators. While I love Martin Tyler, I thought his calmer demeanor didn’t play as well for the US audience than Darke’s more energetic style. He also understood his audience. It was a US audience with many people not too familiar with the game. He perhaps used a few too many Britishisms, but I think in his case that added not detracted from his commentating. Roberto Martinez. He was the most insightful (except when assessing Spain in my view) and provided solid tactical analysis. Also kudos to ESPN for including a diverse group of studio analysts, including the Dutch Ruud Guillit, the typically English Steve McManaman, and even a South African commentator. The whole shebang. From Jeremy Schapp following the US team, to the HD quality and to the production and pre-game shows, ESPN upped their game tremendously and sending a whole crew of people to South Africa made a big difference in the coverage. Additionally, the on set chemistry between Bob Ley, Guillit, Mike Tarricco, McManaman, Martinez, Lalas and Fowler was excellent and it seemed like a cast of characters that got along well and as the tournament went on it actually seemed like they had become good friends. John Harkes. He wasn’t the greatest by any stretch and there were times one was hoping for a bit more insight but Harkes after just covering US national team games I thought did an admirable job throughout the tournament and showed that yes Americans can be soccer commentators. Too few American commentators. Yes, the Brits were good – Darke and Ally McCoist especially. But there is a need for ESPN to start grooming American soccer commentators. JP Delacamera who did a good solid job announcing US qualifiers and past World Cups should have been on TV. But going forward, ESPN needs to start thinking about developing and grooming US commentators for Brazil right now. We now have a cadre of local MLS announcers that ESPN could groom. They could also target some hockey play-by-play announcers, as the sport has a similar open flow and announcers like Gary Thorne would probably be fantastic. But if they are going to do a sports cross over, they need to start now, not a year from the World Cup, now. Efan Ekoku. Frankly I never thought much of him in the Premier League. Besides his usual contradictions, factual errors and overly assertive statements, what made it worse in the World Cup is that there was almost no acknowledgement that he was commentating for an American audience. Britishisms flew throughout and there was no effort to explain things in a bit more detail. He really could have been calling the game for an English audience. Where was the technology? I was expecting ESPN to use technology and replay innovations to thoroughly deconstruct the game and break down tactical formations. But little of that happened. Instead, it had the standard feel of a bunch of commentators assessing replays of goals. Little was done to focus on and highlight individual players, defensive breakdowns, or tactical formations and changes. Where were the STATS? Statistics – despite what the anachronistic Brits think – can provide interesting insight, but there was almost no showing of distance ran, passing completion, player heat zones (ie the space players occupy). We were left with the same stats of shots on goals, goals, etc, that tell very little. Soccer is getting more and more into the stat game and its bizarre that an American network wouldn’t have done more to convey that information – much of which is there on the Fifa website. Alexei Lalas. He wasn’t awful and had some moments, but he just isn’t that insightful. He brings that everyman appeal – ie “they need to play harder!” – but there are much better and more insightful analysts out there. I can see keeping Lalas around, but there is need for deeper analysis of the US team than what Lalas brings. What would I like to see more of next time? Besides more American announcers and commentators, I think more in depth tactical breakdowns in the studio are needed. Most people have no idea what soccer coaches do and ESPN could have done a better job explaining it. ESPN has the technology to show not just goals but how soccer tactics and formations work and why they matter. I am thinking of a Ron Jaworski NFL Countdown approach. That is an aspect of the game that most are still pretty unclear on and with people like Roberto Martinez they could have done more deconstruction of what was going on the field. Update: Fixed for a not very insightful spelling fail. I need to point out the improper use of “incite” and “inciteful” [sic] above. The word you need is “insight” and “insightful”; root word “sight”, as in being able “to see”. You did use it correctly in Martinez’s case so…a Freudian Slip on Lalas’ perhaps? And a minor correction to “ie” [sic]: It is “i.e.,”. Thank You. Delacamara handled ESPN’s radio coverage, along with Tommy Smith. JP did a great job on the radio, which is a really tough assignment. Couple of things. I could not disagree with you more about Efan. I thought he was fantastic. He is a color commentator and his style is just what you need. Lalas needs to go, I have had enough of him. Great analysis of Fowler, true professional. And seriously Ryanf1, get a job. Well Jay, I could voice my true sentiments and complain about Lalas’ so-called performance in the broadcasts, but I figured I should leave something for the rest of you guys to address; spirit of teamwork and all. I personally couldn’t care much about how ABC/ESPN handled matters this time, I’ve already been spoiled a bit from my time overseas where hearing Tyler, Gray, Darke and Smyth call the Matches is the norm and not some special treat. Nevertheless though I do laud them for not repeating their egregious handling of the 2006 WC. I agree with Jay and like Efan. Lalas was terrible throughout. I listened to one of the ESPN radio broadcasts adn thought that JP did a very good job. Soccer does not translate well to radio and you need a good team to make it even mildly enjoyable/understandable. Hopefully, they get a shot at the TV broadcasts in 2014. Another vote for Efan. I enjoy Darke, but Martin and Efan were at the top, in my opinion. Harkes is definitely pleasant, but doesnt offer much depth. Derek Rae was the commentator of the tournament, and is the best commentator in the world. It’s really a blow to the development of football in the US for ESPN to have shifted him to their fledgling ESPN UK effort (though it’s a move made for obvious reasons). Can’t agree more (admittedly biased as a Wigan fan though) on Martinez being the analyst of the tournament. He knows the game inside and out and communicated it beautifully throughout the tournament, despite being far too nice to Spain. Your blog is pretty interesting to me and your subject matter is very relevant. I was browsing around and came across something you might find interesting. I was guilty of 3 of them with my sites. “99% of website owners are doing these five errors”. http://bit.ly/tJJczA You will be suprised how fast they are to fix.